Women experience unique health issues such as menstrual irregularities, pregnancy – related complications, infertility, endometriosis, poly cystic ovarian syndrome (PCOS), osteoporosis, menopause and various cancers such as breast cancer, cervical cancer, vaginal and uterine cancer. Early diagnosis and treatment is vital to most of these health issues in order to prevent unwanted complications and thorough knowledge of the required preventive health checkups is therefore essential. 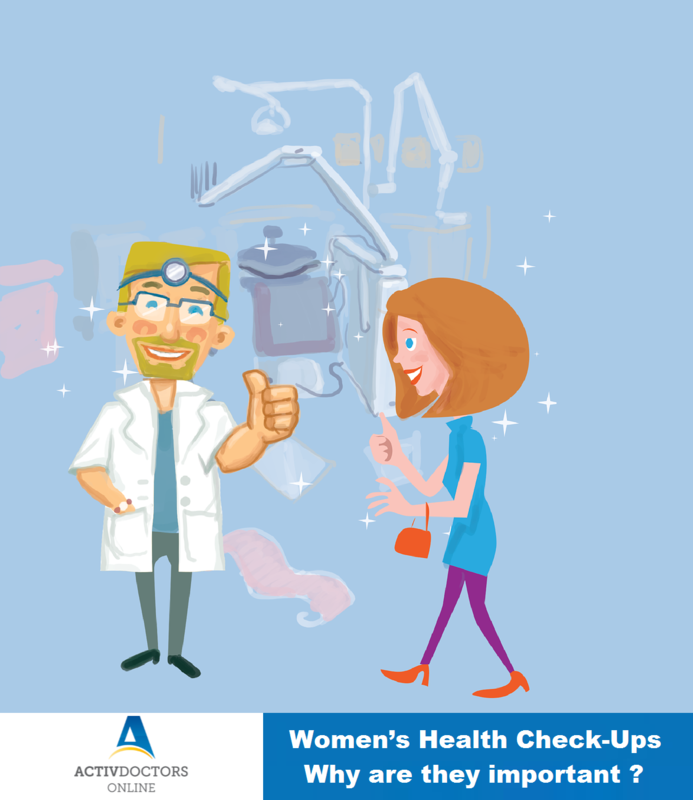 Women should undergo a regular health screening for diseases every 1-2 years. It is recommended to undergo Bone Mineral Density or BMD tests on a regular basis for early identification of conditions such as Osteoporosis, etc. Mammograms are advised at least once a year for women less than 35 years of age and every 3 years for women over 40 years for early detection of breast cancer. Self-breast examination on a regular basis can help in timely detection. With changing lifestyle screening for diabetes especially in women who had Gestational diabetes or a strong family history of diabetes helps in prevention and timely care of the disorder. Vision screening for vision problems such as glaucoma, cataract and macular degeneration, along with hearing and dental screening is recommended. Regular monitoring of blood pressure, blood cholesterol is advised to detect variations such as precursors for Heart related issues for timely management and risk prevention. Sexually active women are advised to go for regular PAP Smear tests for early detection of cervical cancer. Sexually transmitted diseases such as HIV, Hep B, Gonorrhea, Syphilis, HPV etc can also be managed adequately when detected early. The saying Prevention is better than cure’ is of immense importance in case of Women’s Health where early treatment is key.